In the Russian Federation some special rules for mobile phones apply. You should check them first to avoid frustration. Basically, you can't expect anyone to speak English in this country. So you might print out the offer in Russian before to show what you want. To make it easier, the most important words are shown in Kyrillic too. It's next to impossible to show all prices for Russia, because their pricing is immensely complex. The Russian Federation consists of 81 "federal subjects" which can be provinces, territories, federal cities or other districs and are called regions in this article. For every region even the same provider has different prices. So we only give it here for the Moscow region (and St. Petersburg for Tele2). They are the highest in the country, in other areas you can expect to pay a little less. Living in this huge country, the residents have mostly more than one SIM card. Like in the US, every SIM is locked to a specified provider and region too. All calls, text and even data traffic made outside of this region lead to domestic roaming surcharges even within the same provider. Furthermore, their are incoming roaming charges for calls from abroad or different Russian regions by the same provider too. So to try buy a SIM card at the place, where you are going to use it most. The complicated dialling of phone numbers within Russia is explained in detail in this WIKI. For data, you can skip these rules, but be aware that there a two kinds of data packages: "domestic", valid only within the specified region of your SIM card leading to surcharges outside and "national" valid all over the federation. Have in mind that internet access to some sites is "controlled" or censored. So you might think of installing a VPN program or app before. Russia uses European frequencies throughout its country: 2G is on 900 and 1800 Mhz, 3G (up to HSPA+) on 900 and 2100 Mhz mainly in the cities and 4G/LTE on 800 (Band 20) and 2600 Mhz (Band 7) started in 2012/3 on all operators and is available for prepaid without surcharges in the major towns. Additionally many operators also operate TD-LTE networks in the Moscow region, these are often 2600MHz but instead of FDD-LTE (Band 7) they are 2600MHz TD-LTE Band 38. Tele2's LTE (TD-LTE) is on 2300MHz Band 40. If you are looking for 4G LTE make sure you device supports the frequency bands! See information on each provider for details on what bands they use. MegaFon has the best nationwide coverage and good speeds in the cities at the highest prices. It is consided by many as the premier network in the country and the only to cover all 83 regions.MTS is at the present the biggest operator with more than 100 million customers and licenses in 81 regions of the country. Beeline is the budget operator with the lowest rates active in 78 regions nationwide. Tele2 and Rostelecom are building a fourth network active in 41 regions only (not in Moscow) and merged into a joint venture in 2014. There are three ways of buying a SIM card in Russia: the official, the semi-offical and the unofficial. In the shops of the providers, you will need to present your passport (containing the visa and the entry stamp) and the "invitation" or a certificate of your registered place to stay to get a SIM card. A foreign passport will usually work, but some vendors will only know how to deal with a Russian passport. This way is recommended if you have limited knowledge of Russian and need at least some help with setting up. Some electronic or cell phone shops will also set you up skipping some paper work. They might be easier to deal with but charge you a commission of 10-20% for their work. This is especially recommended, if you don't speak Russian and find someone who speaks English. Another option is buying a SIM card in a kiosk at a subway entrance. That usually costs 100 Rub and some of that appears as a credit on the account. No ID required, these cards are pre-activated to someone's (possibly fictional) name. The worst that can happen: the card turns out to be blocked and you loose your 100 Rub. Usually it's okay though. There will be no support neither in English nor in Russian. 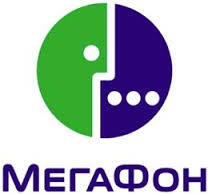 Many users consider Megafon the best network in Russia for coverage and speed. It was the first to start 3G (2100/900MHz) and 4G/LTE and is the only network which is available in every region of the country (coverage map). LTE is on 2600MHz (Band 7/Band 38), and 800MHz (Band 20). It considers itself as market leader, but it has the highest rates of all operators. The following prices are given for Moscow. Their SIM is available at Megafon offices (салон) (location map). This way you need an ID. But you can also buy an envelope containing a a pre-activated SIM card with this tariff pre-selected at a subway entrance. This way you don't need an ID, it costs around 100 Rub (same price at a mobile shop), is pre-activated and has some credit. They offer different prepaid tariff lines without a monthly fee: Pass to ZERO (Переходи на НОЛЬ), Everything easy (Все просто) or Warm Welcome (Тёплый приём +) which is their visitor line and here shown in detail. To top up buy vouchers (Карты оплаты) available everywhere (typing *110#<top-up code> or top up online by international credit card here. Set up price is 200 Rub. Calls to other MegaFon subscribers are free (limited to 100 min/day outside of Moscow). Calls to other providers in Moscow 2.5 Rub./min and outside within Russia 8.5 Rub/min. Calls to the CIS countries 5-10 Rub/min and SMS 2.5-5 Rub just to give you an impression. For data, internet package XS is automatically activated by default giving you 70 MB/day domestic (in Moscow!) for 30 days at 64 kbps for free. Outside internet use is expensive by default (10 Rub/MB). So change to one of their packages. It only gives a better default rate with 1.90 Rub/MB and hourly rounding to 150 KB! So you should better buy a data pack. For all SIMs the same data packs are available, only default rate differs. Both daily packages are national, overuse with standard pack is charged with 0.5 Rub/MB, Pro pack will be throttled to 64 kbps. Max. speed is 3 MBps on standard and unlimited 4G on Pro. All packs renew themselves automatically.To deactivate type *105*264*0# or *105*224*0# respectively. While the XS pack has only domestic data, all other packs have national data (see General, above). All packages have full 4G speed where available, throttled to 64 kbps when quota is reached. You can check data volume by typing *925# You can buy the packs S-XL for 3 months with 10% discount, for 6 months with 20% discount and for 12 month for 30% discount. for daily rates and Internet XS: another 70 MB for 19 Rub valid for the rest of the days. for monthly packs S-XL: 1 GB for 150 Rub. or 2.5 GB for 300 Rub valid for the rest of the month. Domestic-only data packages can be extended nationwide by the Internet Russia (Интернет по России) option for a setup price of 30 Rub and a additional daily fee of 10 Rub. So you better buy a national package, if you travel within Russia. All given prices are valid for Moscow only, other rates may apply in other regions. MTS (or MTC in Russian for Мобильные ТелеСистемы) is the biggest mobile provider in Russia what number of subscribers is concerned. It is available in most regions of the country and still gives good speeds at somewhat lower prices than MegaFon(coverage map). The prices below are given for the Moscow region. 3G is on 2100MHz and 900MHz. LTE is on 2600MHz in the form of both FDD-LTE and TD-LTE (Band 7 and Band 38). SIM cards are available in mini- or micro size at their stores (shop locations). Their standard prepaid voice and data SIM cards are called Super MTS (Супер МТС) for 100 Rub. or Red Energy for 150 Rub. Both differ in voice but have the hight default data rate of 9.90 Rub. per MB. So add packages. Furthermore MTS sells prepaid data SIMs called MTS Connect-4 (МТС Коннект-4) for 600 Rub. with the same credit loaded. At purchase you can choose to buy the Internet Maxi pack for the credit or the daily internet option will be activated by default. All packages from Mini to VIP and the daily rate can be booked on this SIM. Default rate on this SIM is a much lower 1.5 Rub. for data throughout Russia, but it has higher rates for voice and text. MiniBIT (МиниБИТ): automatically booked on the voice prepaid cards. 20 Rub. domestic or 40 Rub. nationwide per day (3am-3am) for 10 MB. Activation by *111*62# and 1. Deactivation by *111*62# and 2. Internet is cut off when quota is reached. For another 20 minutes type *165# for 19 Rub. or for another 100 MB type *111*05# for 30 Rub. BIT (БИТ): 75 MB per day (3am-3am) domestic (in Moscow only) for 200 Rub. Full up to 4G speed, then throttled to 64 kbps. Activation by *252#, deactivation by *252*0# Same extensions as MiniBit. SuperBIT (СуперБИТ): 3GB per month nationwide for 350 Rub. Full up to 4G speed, then throttled to 128 kbps. Activation by *628#, deactivation by *111*628*2# Same extensions as MiniBit. Internet Mini (Интернет-Mini): the same tariff as SmartBIT. Activation and deactivation: Text 160 to 111. Internet Maxi (Интернет-Maxi): Unlimted domestic data (in Moscow) and 8 GB nationwide per month for 600 Rub. For activation and deactivation text 161 to 111. Internet Super (Интернет-Super): unlimited domestic data and 20 GB nationwide per month for 950 Rub. For activation and deactivation text 162 to 111. Internet VIP (Интернет-VIP): unlimited domestic data and 50 GB nationwide per month for 1500 Rub. For activation and deactivation text 165 to 111. Daily rate (Интернет на день): 500 MB nationwide for a day (3am-3am) for 50 Rub. This will not be charged if no use. But 50 Rub. activation fee for activation text 67 to 111. for deactivation 670 to 111. For Internet Mni, Maxi, Super, VIP and the daily rate 3 addons are avaiable: another 500 MB for 75 Rub by *167#, 2 GB for 200 Rub by *168# and unlimited nights (1am-7am) for 150 Rub by *111*776#. All data volume can be checked by *217#, balance check is *100#. SMS to 111 is free of charge. Beeline is the 3rd operator in the country giving the best rates at the moment. It is owned by Dutch-based Vimpelcom Ltd. with network coverage of 97% of Russia's population. Their 3G coverage is concentrated in densely populated areas, but very limited in rural areas and 4G in about a dozen major towns. But check for coverage first, as they don't have licenses in some areas in the far east: (coverage map). Prices below are given for Moscow. For 4G LTE make sure your device supports Beeline's LTE bands (2600MHz Band 7 and 800MHz Band 20). Just get any prepaid SIM card (you can buy it at any Cell Shops, which are plenty in big cities like Euroset, Sviaznoy and many other) for a start up price of about 150 Rub. Some shops may charge you 10-20% commission, but are easier to register your SIM. You can get any prepaid line without preloaded data or voice time like Without doubt (Ноль сомнений) or Go!. You need to activate the SIM by typing *101*1111# Prepaid data rate is a default 9.95 Rub per MB nationwide. Speed is up to 4G/LTE where available. These data are valid nationwide, not only domestic. Packages renew themselves after 1 month, if not deactivated. When data quota is reached, you will be charged 20 Rub. for every 200 MB. If you want to be throttled instead, type *115*230# and speed will be reduced to 64 kbps. Default rate outside of packages in the Simple Internet line is 3.30 Rub for 20 MB per day. Unlike the other operators Tele2 doesn't have shops but only sells their SIM cards online to be sent to a local address. You can arrange a pick up point and delivery within St. Pertersburg is max. 2 days. Independed vendors will resell their SIM cards in electronic or cell phone shops for a small surcharge. Start up price is 100-500 Rub. depending on number.